The UroLift System has fundamentally changed how I treat men in my practice who have symptoms associated with BPH. It was announced that Dr. Sammy Vick has been designated as a UroLift® Center of Excellence. The designation recognizes that Dr. Sammy Vick has achieved a high level of training and experience with the UroLift System and demonstrated a commitment to exemplary care for men suffering from symptoms associated with Benign Prostatic Hyperplasia or BPH. NeoTract’s FDA-cleared UroLift System is a novel, minimally invasive technology for treating lower urinary tract symptoms due to benign prostatic hyperplasia (BPH). The UroLift permanent implants, delivered during a minimally invasive transurethral outpatient procedure, relieve prostate obstruction and open the urethra directly without cutting, heating, or removing prostate tissue. Clinical data from a pivotal 206-patient randomized controlled study showed that patients with enlarged prostate receiving UroLift implants reported rapid and durable symptomatic and urinary flow rate improvement without compromising sexual function. Patients also experienced a significant improvement in quality of life. Most common adverse events reported include hematuria, dysuria, micturition urgency, pelvic pain, and urge incontinence. Most symptoms were mild to moderate in severity and resolved within two to four weeks after the procedure. The UroLift System is available in the U.S., Europe, Australia, Canada, Mexico and South Korea. 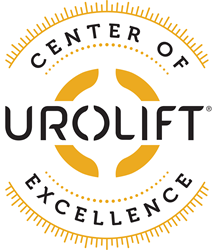 Learn more at http://www.UroLift.com.